SuperNutri Foods is the leading manufacturer and exporter of Peanut Butter, Peanut Paste & other Peanut Products located on the outskirts of Talaja a town-city in Gujarat State of India. The special variety groundnuts of this area are world famous for its flavor, taste and rich aroma. The HPS (Hand Picked Sorting) groundnuts from this area are exported in large quantity in International Market. We manufacture and supply Peanut Butter, Peanut Paste & other Peanut Products in consumer as well as bulk pack. We are engaged in Private Labeling for many countries around the world such as USA, UK, The Netherlands, Australia, New Zealand, South Africa, Japan, Jordan, Saudi Arabia, UAE, Singapore, South Korea and the market is growing every day. We have necessary infrastructure, unique process technology, automatic machines from USA and UK, in-house laboratory and other facilities in our production house to maintain the quality of the products. Our aim is to manufacture and supply Aflatoxin Free best quality Peanut Butter and Peanut products throughout the globe to Quality Conscious Customers. Highly experienced in this activity for procurement of raw materials by adopting a purchase policy, we have the knowledge of how to produce quality products with hygienic conditions as per today international standards to meet all customers requirements. Thus, beginning the production with yearly capacity of 3000 metric tons of peanut butter it has gained a grand success to achieve its total sale to its renowned quality conscious clients till today. Quality of the product is always gained by the combination of several important effecting factors, for which we pay special attention to all these factors adopting FSP(Food Safety Policy), GMP(Good Manufacturing Practice and FSMS(Food Safety Management System) in such a manner due to which factory remains in a sanitized hygienic condition standardized as per today international requirements for a FOOD MANUFACTURING UNIT. 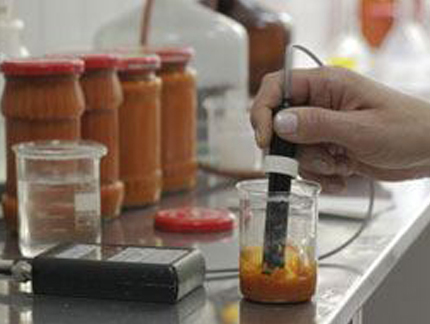 Our In-House laboratory is equipped with the latest Technological Equipments for testing Aflatoxin, Salmonella & Other facilities the utmost requirement of a food manufacturing unit which secures nearly biggest part of our quality side.